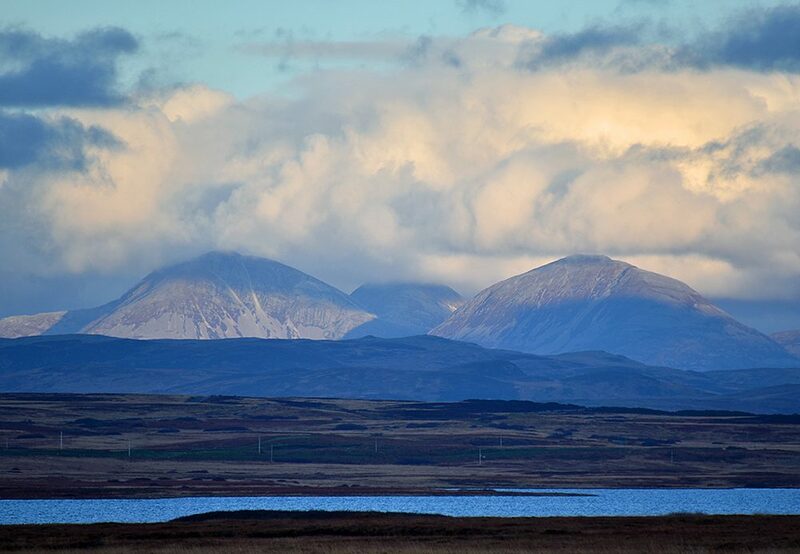 A view across Loch Gorm on Islay to the Paps of Jura in the distance. The sun breaking through the clouds creates a nice might of light and shade. A panoramic view over Machir Bay (left) and the Kilchoman Crags (right) from near the old radar station on an overcast June day on Islay. Saligo Bay and Loch Gorm also visible in the distance. 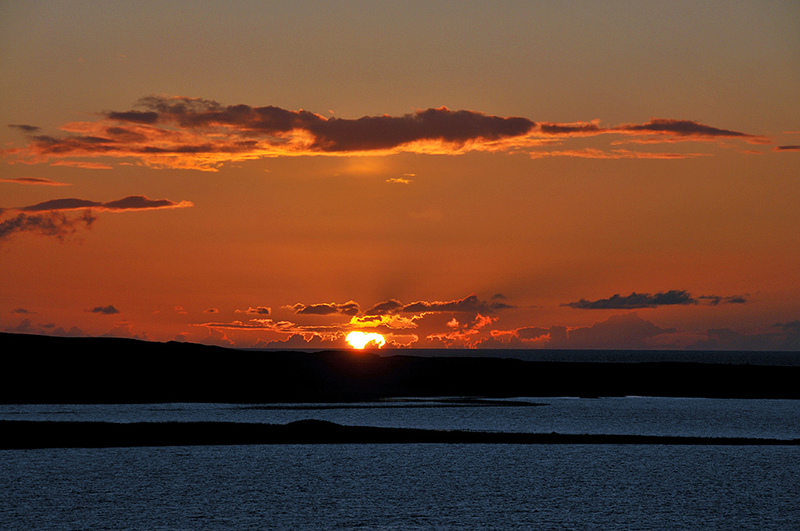 An April sunset on Islay, as seen from the road to Kilchoman. Loch Gorm in the foreground, the Atlantic in the background.